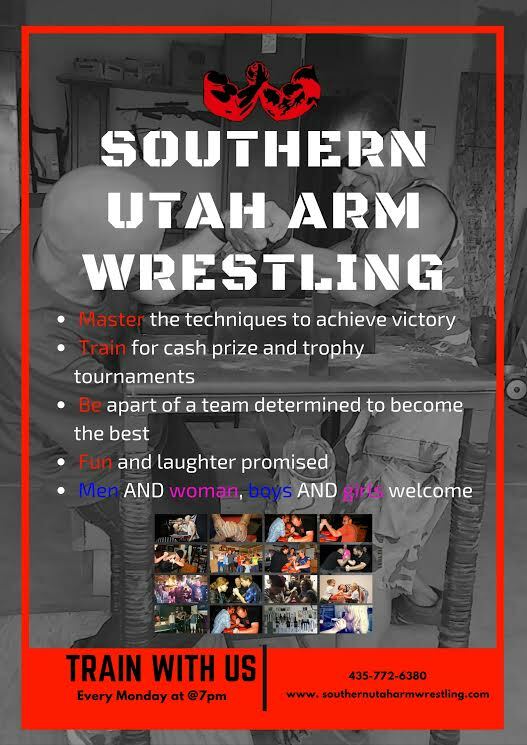 ST. GEORGE — Southern Utah Arm Wrestling has a practice every Monday night in Toquerville at 7 p.m. We practice for fun and for tournaments. Practice is for all ages; men/women/boys/girls. This is a family friendly environment so leave foul language at home. See attached flier for details. Contact 435-772-6380 for more info. Text is best.